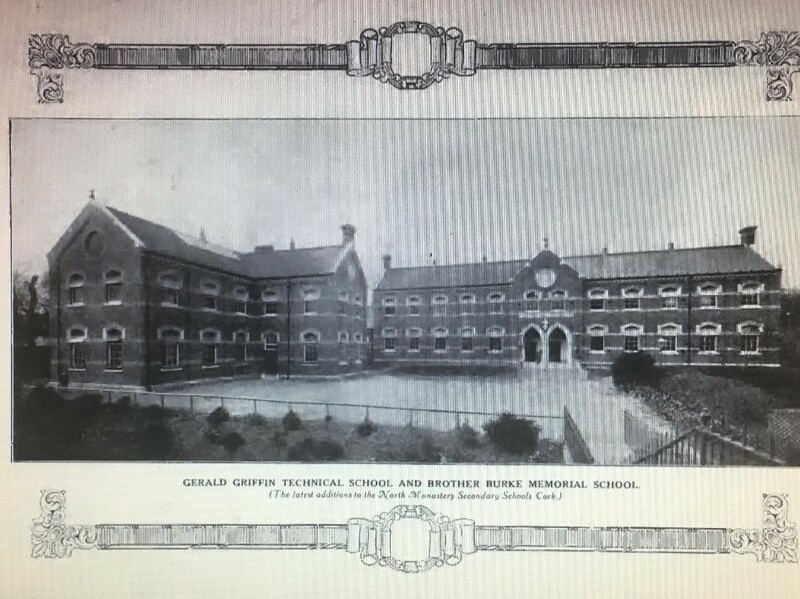 This week, 100 years ago, on Wednesday 24 October 1917 Bishop of Cork, Daniel Cohalan, visited the North Monastery School to make the annual presentation of prizes and awards to the successful pupils of the schools. He was received at the Monastery by Brother McNally, Superior. On his arrival he was greeted by a guard of honour of pupils, drawn up with staffs from which flew blue and white pendants, the School’s colours. As the bishop stood on the steps of the six-year-old Brother Burke Memorial Building the gymnastic team went through a series of flag and scarf drills. The Christian Brothers opened their Cork School in 1811. The system of Secondary Education was introduced in 1879. All secondary schools were fitted with fully-equipped Laboratories for the teaching of Science, and special workshops for Manual Instruction. However, the North Monastery pioneered science instruction early in the second half of the nineteenth century. In 1857 Br James Dominic Burke arrived at the North Monastery and under his guidance the students began the study of natural philosophy (science). Br Burke is widely acknowledged as the father of vocational education in Ireland and made the ‘Mon’ a centre of excellence in scientific and technical education. At this time Br John P Holland (inventor of the submarine) studied in the ‘Mon’ under the guidance of Br Burke. Brother Burke established an Industrial Museum, bringing together materials for nature study, collecting Scientific Instruments, acquiring Manual and Mechanical Equipment, and gradually building up a Laboratory, all tending towards a fully-equipped Day Trades Preparatory School. The North Monastery were also proud of an ex pupil D Madden, who since November 1916 was head of the Chemistry department in the Crawford Municipal Technical Institute. During his time at the North Mon he pursued a remarkably brilliant secondary course, carrying off first class exhibitions and medals for highest place in all of Ireland in mathematics and science. He played with great success an important part in the Centenary Pageant 1911. He was awarded the Harrington gold medal for highest score in chemistry, for which so many keen young scientists at Our Lady’s Mount competed. At the conclusion of his course at North Monastery, Mr Madden carried off in open competition a science and technological scholarship (value £275), tenable at Royal College of Science, Dublin. His four years course at this institution was marked by the highest honours, especially in chemistry and mathematics, and after specialising in the Faculty of Applied Chemistry under such distinguished teachers as Professors G T Morgan and A Farrelly, he obtained the Associate Diploma of the Royal College of Science, being placed first of his year in chemistry, appointed demonstrator in chemistry at University College, Galway, in February, 1916, Mr Madden obtained by examination in July 1916, the Associateship of the Institute of Chemistry of Great Britain and Ireland, a hall mark in the domain of practical chemistry, and was appointed by the Department of Agriculture and Technical Instruction for Ireland instructor in advanced chemistry for teachers’ summer courses. 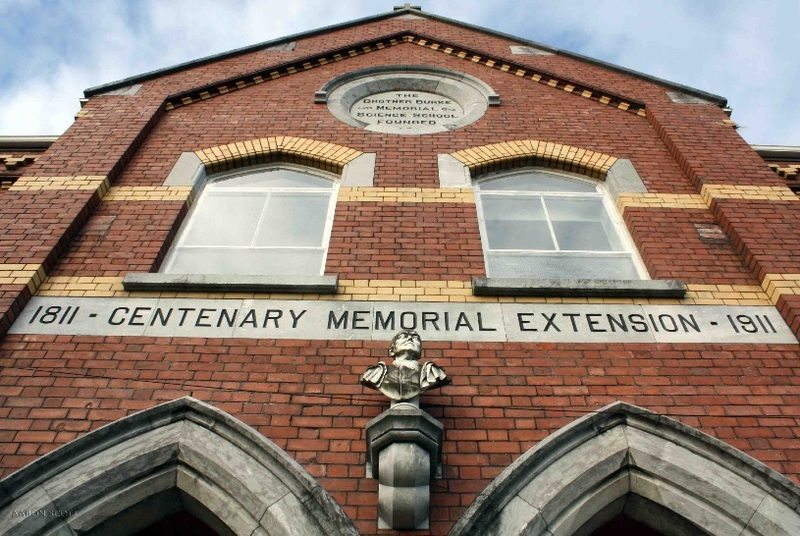 The Cork Examiner records that during Bishop Cohalan’s visit in 1917 he was conducted through the different laboratories, technical rooms, and the different classrooms. When he took his seat in the large hall-the choral class under Professor Joseph Curtis, sang in the mother tongue “A Cead Mile Failte. There were also present a number of pupils from the Sullivan’s Quay schools, as well as very many past pupils of the North Monastery. Joseph Curtis, was a well-known teacher of singing. In his obituary in the Cork Examiner on 28 April 1942, he is noted for teaching singing in Cork Schools, notably in those of the Christian and Presentation Brothers and was considered an expert in the Tonic Solfa system. One of his notable achievements was the training of the boys for the North Monastery Pageant in 1911 In this the singing was no less a triumph than the pageant itself. He was also choir master at Holy Trinity Church for about forty years, where the choir consisted of adult men and boys. He also inspired his nephew Bernard Curtis to take up the music mantle. He nephew went to be Director of the School of Music. When his uncle Joseph retired from Holy Trinity Bernard also took up the reins, teaching and conducting the choir. Brother McNally, in his October 1917 speech, noted that the students maintained the record of the schools in all departments, religious, intermediate, technical and physical. Pupils in 1917 had secured less than 29 intermediate distinctions. Scholarships included a Honan one to the UCC, worth £150, one entrance, and an exhibition entrance to the same University, a Cork County scholarship, and two science research scholarships. The intermediate included nine exhibitions, two medals, twenty-three prizes (five for Irish and English composition), and 111 passes. There were two Ballingeary scholarships, one Brother Burke Memorial gold medal, and 20 matriculation passes. The choral class received the highest reports that could be got, and in this Brother McNally paid a tribute to its teacher and conductor, Joseph Curtis. One of the managers of the Ford Company had paid a visit to their classes and expressed his admiration at his facilities and expressed his admiration at the facilities and equipment afforded physical development, too. The athletic success of their pupils was recounted including the junior school championships of Cork city and county in football and hurling for the Cloyne hurling. In field sports they were equally successful.